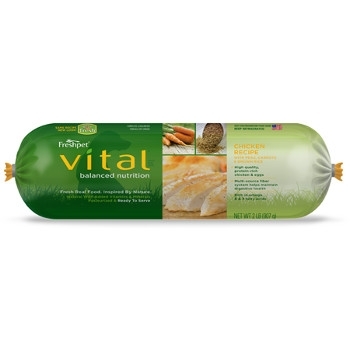 FreshPet Vital Balanced Nutrition Chicken & Vegetables Dog Food, 1 lbs. Made using fresh chicken, vitamin-rich peas and carrots, high-fiber brown rice, this recipe is high in Omega-3 and 6 fatty acids, giving your dog the optimal nutrition he needs for healthy digestion and a shiny coat. 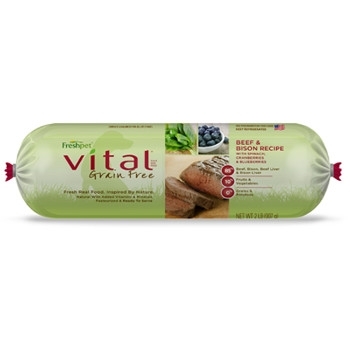 FreshPet Vital Grain Free Beef & Bison Dog Food, 1 lb.